Philip Jennings is the Emeritus Professor of Physics and Energy Studies at Murdoch University. Philip completed a Bachelor of Science with honours in Physical Chemistry at the University of Western Australia in 1962 and a PhD in chemical physics from Harvard University in 1967. He was a Foundation member of the academic staff in physics when Murdoch University opened in 1975. Prior to that he held postdoctoral positions at Bell Laboratories in the USA and Flinders University in SA and was a lecturer in Physics at the University of NSW from 1971 to 1974. Philip’s teaching at Murdoch University included quantum and solid state physics, general physics, renewable energy, energy in society, climate change, astronomy and foundation units on understanding science and technology and creativity and innovation. Philip’s research interests are multidisciplinary and include surface physics, nanotechnology, photovoltaics, environmental radiation, climate change and renewable energy education. 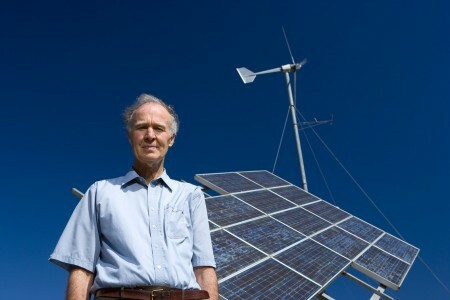 Since his retirement in April 2012, Philip has focussed his efforts on research in renewable energy and climate change. Philip is heavily involved in community service and is a member of several government committees concerned with energy, air quality and environmental issues. He is a Fellow of the Australian Institute of Physics, Honorary Fellow of the Australian College of Education and a member of the Australian Solar Energy Society. He is a past President of the Conservation Council of Western Australia and current President of the Cockburn Wetlands Education Centre. Jennings, P., Zahnd, A., (2012),The role of renewable energy technology in holistic community development,In: Green Energy, River Publishers, pages 75 to 140. Jennings, P., Sun, C., (2003),Low Energy Electron Diffraction,In: Surface Analysis Methods in Materials Science, Springer Verlag, pages 319 to 335. Umar, M., Urmee, T., Jennings, P., (2018), A policy framework and industry roadmap model for sustainable oil palm biomass electricity generation in Malaysia,	Renewable Energy, Part A, 128, pages 275 - 284. Bista, S., Jennings, P., Anda, M., (2017), Cradle to grave GHG emissions analysis of shale gas hydraulicfracking in Western Australia,	Renewable Energy and Environmental Sustainability, 2, 45, pages -. Laslett, D., Carter, C., Creagh, C., Jennings, P., (2017), A large-scale renewable electricity supply system by 2030: solar, wind, energy efficiency, storage and inertia for the South West Interconnected System (SWIS) in Western Australia,	Renewable Energy, 113, , pages 713 - 731. Laslett, D., Creagh, C., Jennings, P., (2016), A Simple Hourly Wind Power Simulation for the South-West Region of Western Australia Using MERRA Data,	Renewable Energy, 96, , pages 1003 - 1014. Al-Taay, H., Mahdi, M., Parlevliet, D., Jennings, P., (2016), Fabrication and Characterization of Solar Cells Basedon Silicon Nanowire Homojunctions,	Silicon, 9, 1, pages 17 - 23. Bashkany, Z., Abbas, I., Mahdi, M., Al-Taay, H., Jennings, P., (2016), A Self-Powered Heterojunction Photodetector Based on a PbS Nanostructure Grown on Porous Silicon Substrate,	Silicon, , , pages 1 - 9. Umar, M., Jennings, P., Urmee, T., (2014), Generating renewable energy from oil palm biomass in Malaysia: The Feed-in Tariff policy framework,	Biomass & Bioenergy, 62, , pages 37 - 46. Djordjevic, S., Parlevliet, D., Jennings, P., (2014), Detectable faults on recently installed solar modules in Western Australia,	Renewable Energy, 67, , pages 215 - 221. Al-Taay, H., Mahdi, M., Parlevliet, D., Jennings, P., (2014), Growth and characterization of silicon nanowires catalyzed by Zn metal via Pulsed Plasma-Enhanced Chemical Vapor Deposition,	Superlattices and Microstructures, 68, , pages 90 - 100. Walsh, M., Jennings, P., (2014), Radioactivity in Drinking Water Supplies in Western Australia,	Journal of Environmental Radioactivity, 130, , pages 56 - 62. Laslett, D., Creagh, C., Jennings, P., (2014), A method for generating synthetic hourly solar radiation data for any location in the south west of Western Australia, in a world wide web page,	Renewable Energy, 68, , pages 87 - 102. Umar, M., Jennings, P., Urmee, T., (2014), Sustainable electricity generation from oil palm biomass wastes in Malaysia: An industry survey,	Energy, 67, , pages 496 - 505. Al-Taay, H., Mahdi, M., Parlevliet, D., Jennings, P., (2013), Preparation and Characterization of Silicon Nanowires Catalyzed by Aluminum,	Physica E: Low-Dimensional Systems and Nanostructures, 48, , pages 21 - 28. Al-Taay, H., Mahdi, M., Parlevliet, D., Jennings, P., (2013), Structural and optical properties of Au-catalyzedSiNWs grown using pulsed plasma-enhancedchemical vapour deposition,	Superlattices and Microstructures, 61, , pages 134 - 145. Umar, M., Jennings, P., Urmee, T., (2013), Strengthening the palm oil biomass Renewable Energy industry in Malaysia,	Renewable Energy, 60, , pages 107 - 115. Al-Taay, H., Mahdi, M., Parlevliet, D., Jennings, P., (2013), Controlling the diameter of silicon nanowires grown using a tin catalyst,	Materials Science in Semiconductor Processing, 16, 1, pages 15 - 22. Dorji, T., Urmee, T., Jennings, P., (2012), Options for off-grid electrification in the Kingdom of Bhutan,	Renewable Energy, 45, , pages 51 - 58. Anisuzzaman, M., Jennings, P., (2012), A Framework for Mainstreaming Climate Change Adaptation within Local Government Operations,	The International Journal of Climate Change: Impacts and Responses, 3, , pages 31 - 46. Parlevliet, D., Jennings, P., (2011), Thin film silicon nanowire photovoltaic devices produced with gold and tin catalysts,	Journal of Nanoparticle Research: an interdisciplinary forum for nanoscale science and technology, 13, 10, pages 4431 - 4436. Taleghani, M., Ansari, H., Jennings, P., (2011), Sustainability in architectural education: A comparison of Iran and Australia,	Renewable Energy, 36, 7, pages 2021 - 2025. Jennings, P., Taleghani, M., Ansari, H., (2010), Advanced renewable energy education: practical solutions for the curriculum of architecture,	Energy Education Science & Technology, Part B: Social and Educational Studies, 2, 3, pages 111 - 131. Taleghani, M., Ansari, H., Jennings, P., (2010), Renewable energy education for architects: Lessons from developed and developing countries,	International Journal of Sustainable Energy, 29, 2, pages 105 - 115. Jennings, P., (2009), New directions in renewable energy education,	Renewable Energy, 34, 2, pages 435 - 439. Thomas, C., Jennings, P., Lloyd, B., (2008), Renewable Energy Courses in Australian and New Zealand,	Solar Progress: Renewable Energy for Australasia, 29, 1, pages 1 - 6. Jennings, P., de Laeter, J., Zadnik, M., Lloyd, B., (2008), Physics Enrolments - more good news,	Physicist, The, 45, 5, pages 166 - 174. Thomas, C., Lloyd, B., Jennings, P., (2008), Issues in Renewable Energy Education,	Australian Journal of Environmental Education, 24, , pages 1 - 7. Harries, D., McHenry, M., Jennings, P., Thomas, C., (2006), Hydro, tidal and wave energy in Australia,	International Journal of Environmental Studies. Sections A & B, 63, 6, pages 803 - 814. Harries, D., McHenry, M., Jennings, P., Thomas, C., (2006), Geothermal energy in Australia,	International Journal of Environmental Studies. Sections A & B, 63, 6, pages 815 - 821. Walker, E., Lund, C., Jennings, P., Cornish, J., Klauber, C., Hefter, G., (2004), Noble gas ion effects on the XPS valence band spectra of silicon,	Applied Surface Science, 222, 1-4, pages 13 - 16. Walsh, M., Jennings, P., (2003), A Study of Environmental Radon Levels in Rammed Earth Dwellings in the South West of Western Australia,	Radiation Protection in Australasia, 19, 2, pages 67 - 73. Lund, C., Jennings, P., (2001), The potential, practice and challenges of tertiary renewable energy education on the World Wide Web,	Renewable Energy, 22, , pages 119 - 125. Jones, R., Clare, B., Jennings, P., (2001), Si-H clusters, defects, and hydrogenated silicon,	Physical Review B- Condensed matter and materials physics, 64, , pages 125203-1 - 125203-9. O'Mara, K., Jennings, P., (2001), Greenhouse education: Just hot air?,	Renewable Energy, 22, , pages 127 - 133. Jennings, P., Lund, C., (2001), Renewable energy education for sustainable development,	Renewable Energy, 22, , pages 113 - 118. Lund, C., Luczak, K., Pryor, T., Cornish, J., Jennings, P., Knipe, P., Ahjum, F., (2001), Field and laboratory studies of the stability of amorphous silicon solar cells and modules,	Renewable Energy, 22, , pages 287 - 294.
de, M., James, I., Jennings, P., Koeyers, J., (2001), Cluster analysis of radionuclide concentrations in beach sand,	Applied Radiation and Isotopes, 54, , pages 535 - 542. Lund, C., Jennings, P., (2000), The Potential, practice and challenges of tertiary renewable energy education on the World Wide Web,	Renewable Energy, 22, , pages 119 - 125. O'Mara, K., Jennings, P., (2000), Innovative renewable energy education using the World Wide Web,	Renewable Energy, 22, , pages 135 - 141. Walker, E., Lund, C., Klauber, C., Jennings, P., Cornish, J., Clare, B., Hefter, G., (1998), A Semi-quantitative study of disorder in argon ion-bombarded crystalline silicon using Auger lineshape analysis,	Applied Surface Science, 126, , pages 265 - 272. Clare, B., Jennings, P., Lund, C., Cornish, J., Hefter, G., (1998), Simulation and analysis of X-ray photoemission and Auger valence band spectra of hydrogenated amorphous silicon,	Thin Solid Films, 326, 4, pages 160 - 165. Jennings, P., Cornish, J., Clare, B., Hefter, G., Santjojo, P., (1997), A Study of the Effects of Annealing and Outgassing on Hydrogenated Amorphous Silicon,	Thin Solid Films, 310, , pages 156 - 160. Zhu, F., Jennings, P., Cornish, J., Hefter, G., Luczak, K., (1997), Optimal Optical Design of Thin-Film Photovoltaic Devices,	Solar Energy Materials & Solar Cells, 49, , pages 163 - 169. Lund, C., Klauber, C., Jennings, P., Cornish, J., Clare, B., Hefter, G., (1997), Semi-quantitative methods for studying disorder and hydrogenation in hydrogenated amorphous silicon using Auger lineshape analysis,	Applied Surface Science, 115, , pages 252 - 266. Singh, D., Jennings, P., (2007),The Outlook for Crystalline Solar Photovoltaic Technology over the Next Decade,In: American Institute of Physics (AIP) Conference (2007). Baverstock, G., Harries, D., Jennings, P., Parker, I., (2007),A Case for Establishing a Nationally Based Program for Sustainable Energy and Water Use in the Built Environment,In: American Institute of Physics (AIP) Conference (2007). Jennings, P., Ho, G., Mathew, K., Nayar, C., (2007),Renewable Energy for Sustainable Development in the Asia Pacific Region,In: American Institute of Physics (AIP) Conference (2007). Luczak, K., Lund, C., Jennings, P., Cornish, J., (2006),Recovery of Light Induced Degradation in Amorphous Silicon Solar Cells and Modules,In: 4th International Conference on Intelligent Sensing and Information Processing (ICISIP) (2006). Knipe, P., Jennings, P., (2004),Electromagnetic Radiation Emissions from RAPS Equipment,In: 42nd Annual Conference of the Australian and New Zealand Solar Energy Society (ANZSES) (2004). Jennings, P., (2004),A Retrospective View of Acre,In: 42nd Annual Conference of the Australian and New Zealand Solar Energy Society (ANZSES) (2004). Jennings, P., Mathew, K., (1999),Workshop on Renewable Energy,In: Workshop on Renewable Energy, Perth, WA. O'Mara, K., Jennings, P., Ho, G., Anda, M., Mathew, K., (1999),Renewable Energy: Technologies and Policies for Sustainable Development,In: The World Renewable Energy Congress, Perth, Australia. Lund, C., Jennings, P., Luczak, K., Clare, B., Zhu, F., Cornish, J., Hefter, G., (1997),Limiting the Photodegradation in Amorphous Silicon Solar Cells,In: Proceedings of Solar 97. Lund, C., Jennings, P., (1997),Tertiary Education in the Australian CRC for Renewable Energy - Renewable Energy Studies 'on the ground' and 'on line',In: Proceedings of Solar 97. Jennings, P., (1997),Renewable Energy Education : An Essential Foundation for Market Development,In: Proceedings of Solar 97.